For the last six weeks, I feel like I have been running. There was was NY trip, then the inevitable post-travel catch up, family visited, I bought a minivan, more family visited, our son turned four, and now it’s spring. I’m sitting on the patio with a glass of wine, and for the first time in weeks, I feel like I am on top of things. I even planted herbs. I feel like egg curry is perfect for this time of year. 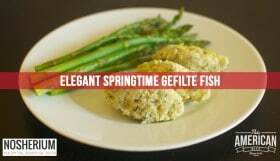 This is the sort of dish that will warm you from within on a cold night and will fill you with satisfaction on a warm night. 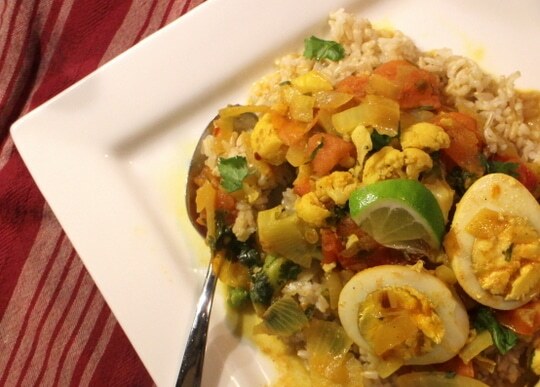 No matter what time of year, this vegetarian egg curry is a hit! 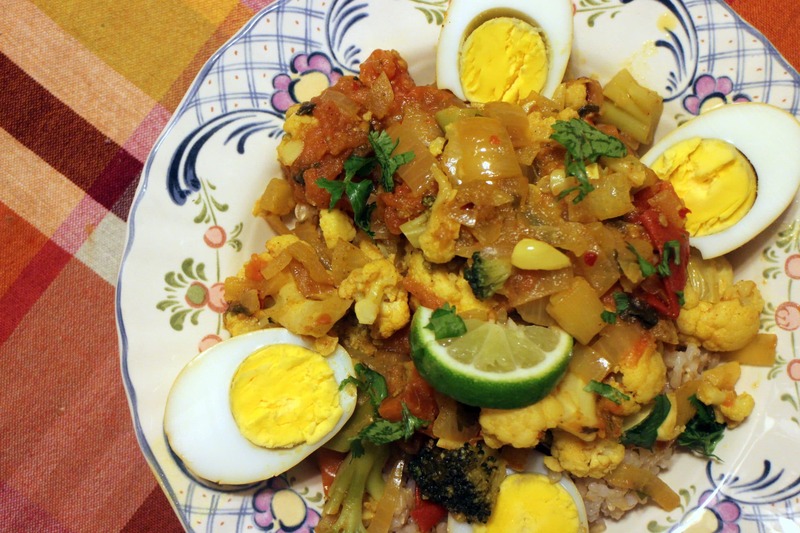 It’s somewhat similar to a vegetable curry but it’s protein rich with hard boiled eggs. The secret to great curry isn’t just the spices you use, but sauteing that flavor into your onions. 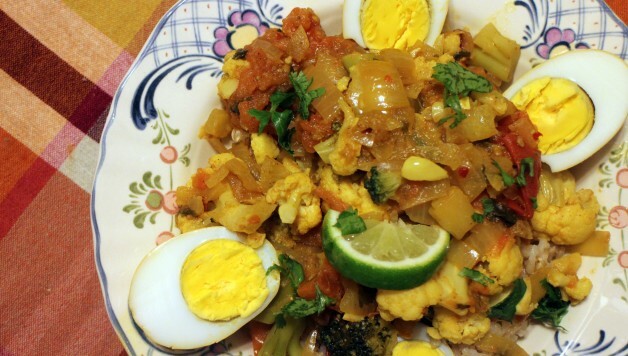 If your onions are flavor-rich and delicious, you’ve won the battle for a delicious curry. The smell from this onions will be wonderful. 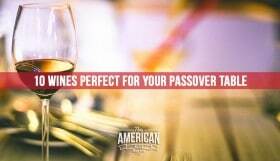 It will fill the kitchen and you will just know that you’re on the right path! Fresh ingredients make for the best curry, but if you don’t have tomatoes, you could use a can of diced tomatoes. 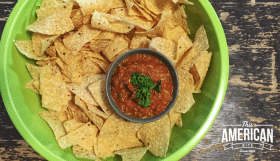 This is also a good way to use up those tomatoes that might be firm anymore. 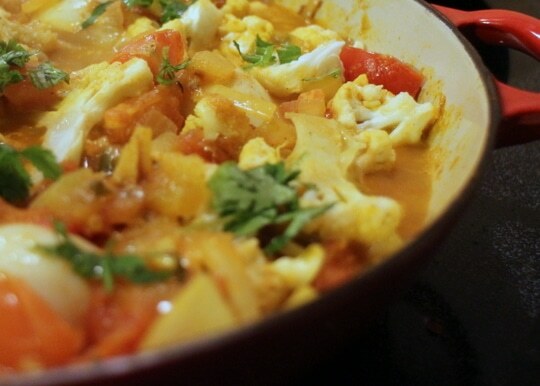 You do need some patience while making this curry, you want your onions to absorb the spices and you want your tomatoes to cook down into a paste before you add cauliflower to cook slowly. The veggies are cooked though, you can leave this simmering on a low heat until you are ready to serve. 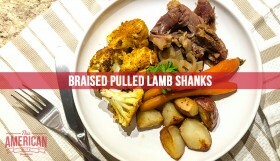 This recipe will serve six people. I recommend serving this curry on a bed of rice or with my gluten free naan bread. Dice an onion, heat some olive oil for cooking. 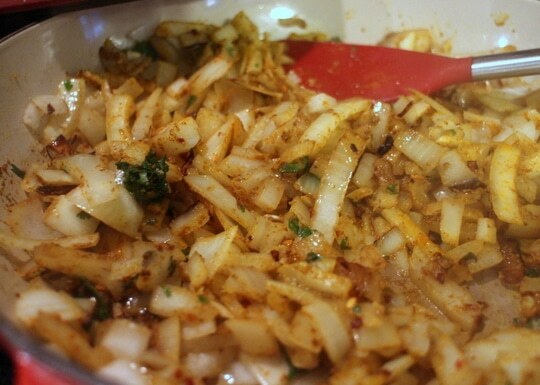 Once the oil is warm, saute the onion with the cumin, coriander, red chili flakes and ginger. This will take 8-12 minutes. 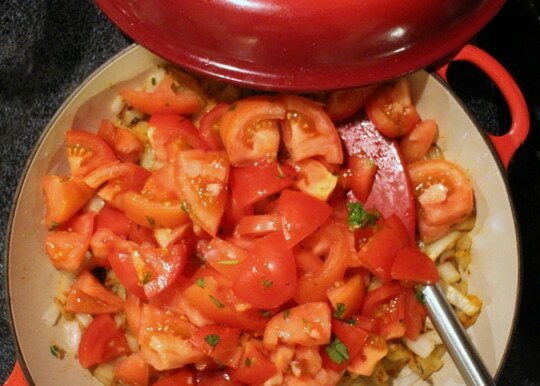 Dice your tomatoes and add them to the onions. Turn the heat to medium-low and cover the pot for five minutes to allow the tomatoes to cook. Once the tomatoes have cooked and there is liquid in the pot, add the florets from one head of cauliflower and allow them to cook. I like the cauliflower to keep some of it’s crunch so I don’t cook for too much longer at this point. 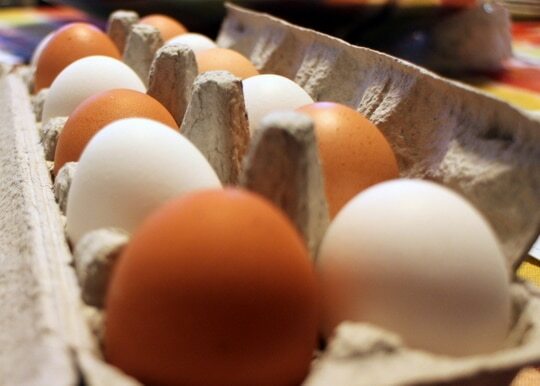 Shell your hard boiled eggs and add them to the curry at least five to fifteen minutes before serving. Drizzle the juice from the lime over the curry and garnish with parsley or cilantro when serving.